SeaWorld San Diego is excited to announce that in 2012, the park will unveil its new launch coaster, Manta — a new mega-attraction that will seamlessly transition guests from the awe of watching rays in underwater flight … into the sensation of actually being one. 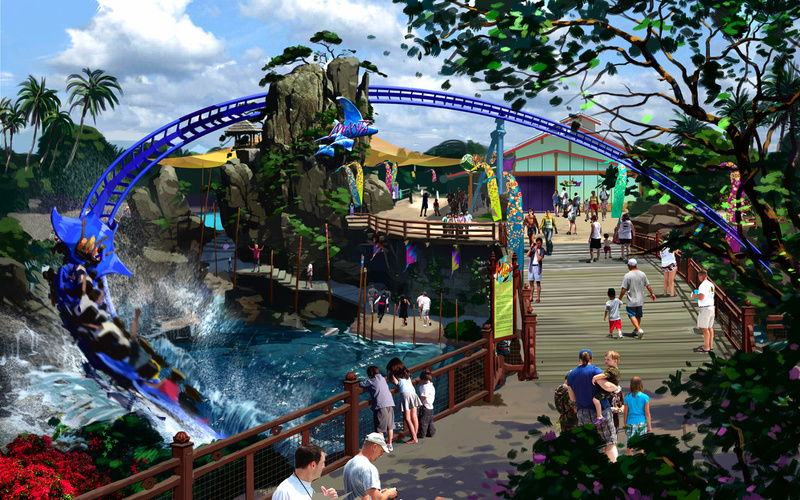 SeaWorld is scheduled to break ground for Manta within a month and the ride is slated to open to the public in 2012. Swooping over sea and sky, Manta will not only inspire riders with amazing underwater animal habitats, but take them on an exhilarating ride on a coaster shaped like a giant manta ray. Gliding, flying and diving through more than a dozen twists and turns, riders will feel as if they are a ray, taking flight from sky to sea — so close at times that the Manta’s wings skim the waves. Manta also will feature a unique “launch station” where the passengers will start the ride enclosed in a launch tunnel with larger-than-life images of rays projected on a 270-degree enveloping screen. This stunning introduction to the world of the rays also will visually enhance the physical acceleration as the ride launches down the track. This state-of-the-art projection system will be the first of its kind in the United States. Riders and non-riders alike will enjoy the graceful beauty of bat rays and fishes. Forbidden Reef, an existing SeaWorld attraction where guests can feed and touch bat rays, will be incorporated and enhanced as part of Manta. Manta will be located just north of Rocky Point Preserve. SeaWorld is working with German ride design company MACK, which also engineered the marine-life park’s popular ride, Journey To Atlantis. Guests at SeaWorld’s sister park in Orlando have been enjoying a similar version of Manta since it opened in 2009.